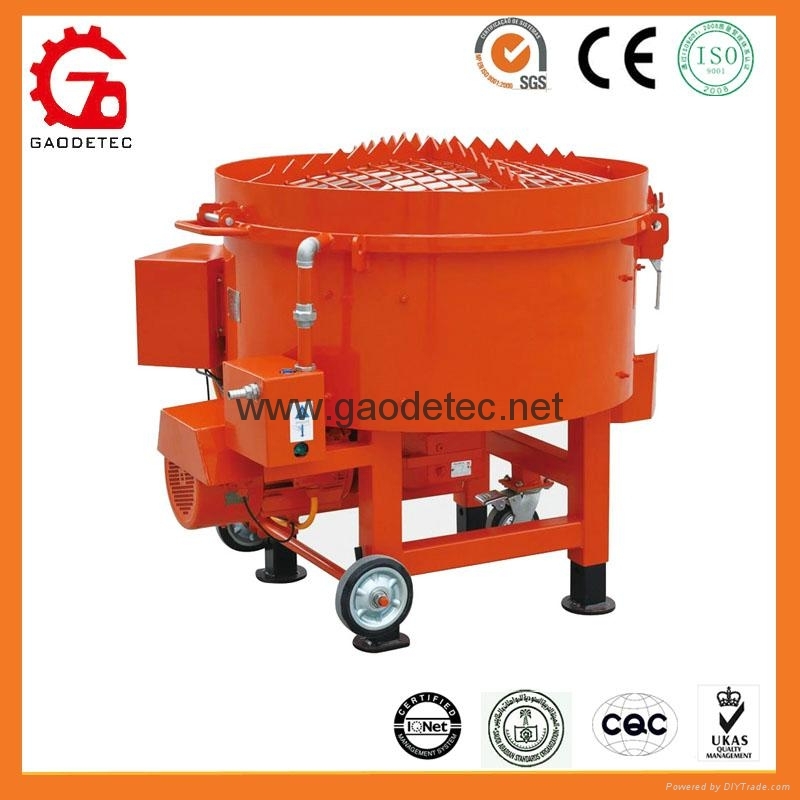 GRM refractory mixer is used to mix raw materials. Material obtained in the pan blender full mixing, thereby enhancing the mixing uniformity. using novel rotor structure, so that the minimum gap between the rotor and the housing can be adjusted to be close to zero, effectively reducing the amount of residual material. Pan plate lined with polypropylene or stainless steel, and therefore not easy to stick material, wear resistance, the use of cycloid motor with a compact, easy to operate, stir, convenient discharge conveyor and so on. The overall structure is more reasonable, beautiful appearance, easy operation and maintenance. GRM refractory mixer all the work body fixed on the rack. The machine frame is made of quality carbon steel plate, channel steel welded together. And adopted a rigorous product certification and specific technical requirements to achieve the purpose of use.